How Do Bowser, Toad and Luigi Really Feel About Peach? 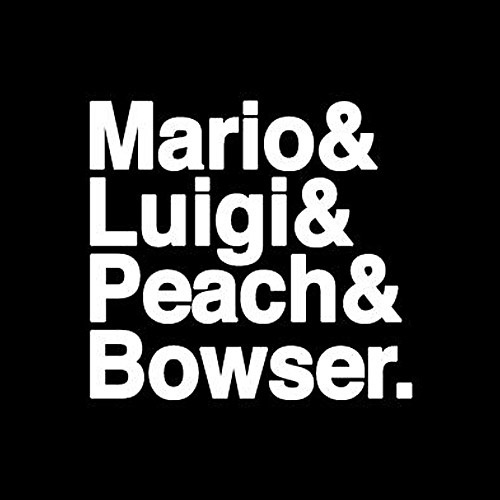 Life lesson #1: you can never have too much Nintendo-themed hip hop. Last month we told you about Heath McNease's album Straight Outta Console, and now we have Letters to Princess by rapper I B. Detailing the agony and frustration felt by Toad, Luigi and Bowser that Mario always manages to capture the heart of Princess Peach, it's a good slice of nerdy rap. The video's below. Don't worry, it's clean. And Toad's never shown any affection to Peach. Cheap and annoying. Nuff said. @ToadFan Luigi wasn't around during the cartoons and only added into things later on. Toad is portrayed as the best friend, and does show affection but never comes out with it just like a person in real life in that position. I'm glad you agree on Bowser even though they portray him as a villain that wants to hurt her. @DarkSquid I respect your opinion of finding it annoying, but whats cheap about it? Not trying to argue just curious. Their Princess is in another castle. I think that's when I lol'd. What game did that 3D Bowser come from? @Oddy I got it from Mario Golf. @IBTheRapper You made that video? @IB very cool for real. very clever. I have even listened multiple times to make sure I catch it all. thanks! @IB If you were going for a funny video, then I don't see how my comment wasn't positive. @Bensei yes the transitions are out of key so I can understand that, I used 6 different samples throughout the song and they were not the same key, glad u like the lyrics, thanks for your opinion. It started off so well.....and then he started rapping. Yeah I stopped listening after about thirty seconds. And I love nerd rap . . . I liked it. I thought it was clever. It was also nice that it was clean. @dizzard and @Ben what about the rapping did you not like? Just the voice immediately and you stopped right away, or the words that i was rapping etc? @Mikau94 thank you for your compliments. @tendoboy1984 no I haven't I will check them out though. This how I think their relationships go. @ToadFan: Explain the Koopa Kids then! @Benja Yes that is how the game portrays the relationships between them but the video is my opinion of what was going on beneath the surface. I thought the voice was a bit low, but clever. @shinigamij thank you very much. Bottom line? Mario has Peach. Luigi has Daisy. Toad has Toadette. Bowser has...somebody (how else do you explain the Koopalings and Bowser Jr.?). In other words, everybody's-a happy! Hey, Toad gets to hang around in Peach's dress all day. 12 seconds in and I turned it off. Though you can kinda tell how the feel about her already. Toad: Just another toad trying to help rescue the princess. Luigi: I'm pretty sure he likes Daisy. Bowser: Either he likes her, or he wants to rule the kingdom so bad he's willing to get married.